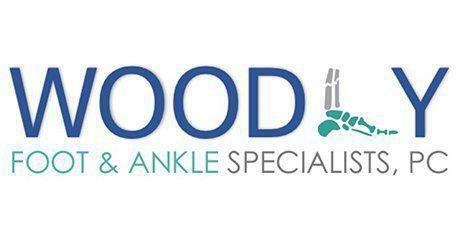 As a podiatry specialist, Dr. Charlton Woodly and Dr. Asia Jackson at Woodly Foot & Ankle, with offices in Weatherford and Richland Hills, Texas, treat a variety of conditions related to the foot and ankle. Bunions are one of the leading reasons people see their podiatrist. Dr. Woodly and Dr. Jackson are able to offer conservative treatments that may involve lifestyle changes and drug therapy to relieve the pain and pressure of a bunion. He can discusses surgical options with patients when necessary. A bunion is a bony bump that forms at the base of the big toe. The formation is a direct result of the joint that allows that toe to move pushing against the next joint. This is why bunions are sometimes associated with tight fitting shoes. Footwear choices are not always to blame, though. Bunions tend to run in families, so there may be a structural issue at the joint causing the problem. Most bunions are fairly obvious. You’ll see a bulging bump on the outside of your foot near the base of the big toe. As the bony structure grows, the skin on the outside of it can become red and swollen. Calluses or corns may develop as the skin wears down. Some sufferers experience persistent pain and restricted movement of the toe. Dr. Woodly and Dr. Jackson assesses the severity of the bunion and develops a care plan specific to each patient. Possible options include lifestyle changes like footwear with lots of toe space, bunion pads to protect the joint and reduce stress on it, and pain medications. Dr. Woodly might also prescribe orthotic devices to relieve the pressure on the joint. Bunion deformity is a type of arthritic joint or painful joint that can be managed conservatively using laser therapy. The actual bunion deformity is not corrected, but the pain some bunions have can be successfully managed. Lasers not only increase circulation and decrease swelling, but increase the range of motion which can offload the joint pain. In many cases, painful injections and surgery can be avoided. Some cases may require surgical repair if conservative options fail to provide relief. Dr. Woodly or Dr. Jackson may remove affected tissue and bone around the joint then restructure that area to realign the big toe. In some situations, joining the bones of the affected joint creates a permanent solution to the problem. Surgical repair can require several months of recovery. The treatment also includes a strategy to prevent a reoccurrence of the bunion including proper footwear choices. Educating you on prevention is part of the treatment plan. This includes teaching you how to choose proper footwear and how to choose the right shoe size for your feet. Dr. Woodly and Dr. Jackson may discuss different activities including sports and occupations you should avoid because they put undue pressure on your toes. Prevention also includes regular office visits to examine your feet and treat bunions early if they reappear.